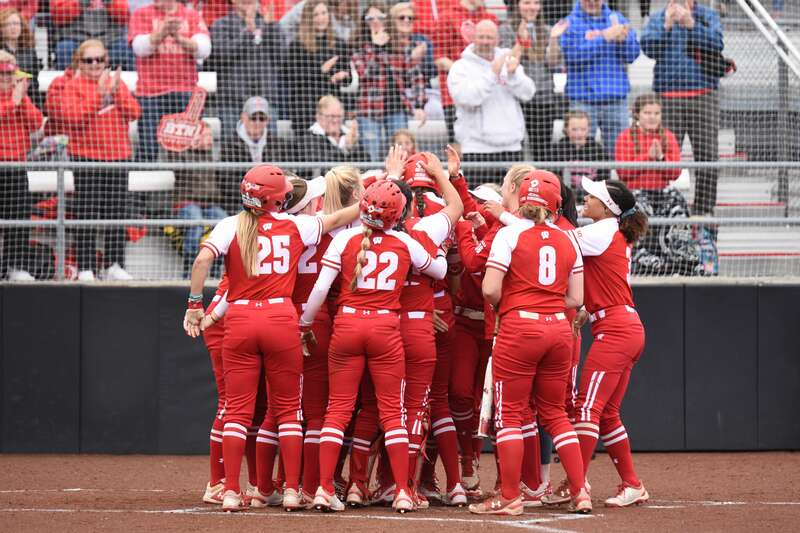 The University of Wisconsin softball team (30-5, 7-2 Big Ten) hosted the Iowa Hawkeyes (15-18, 1-8) in their Big Ten home opener last weekend in a three-game series. 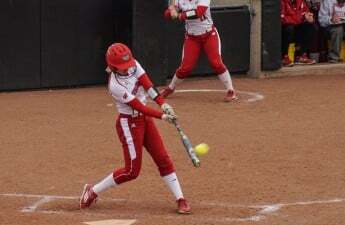 The Badgers pulled off a home sweep with final scores of 8–0 Friday, 9–1 Saturday and 4–2 Sunday. A consistent Badger offense and dominant pitching staff have been the consistent factors driving the team’s recent success. Friday’s game featured Iowa ace Allison Doocy in the circle. Doocy visited Wisconsin boasting a 1.97 career ERA and was ready to shut down her opponent. But the heavy-hitting Wisconsin offense had a different plan. Wisconsin gained its 13th run-rule victory this season Friday, recording seven hits and scoring eight runs in the process. One of the major contributors to the Badgers’ run total came from aggressive base-running. In multiple occasions, Healy sent runners to the plate in a risky strategy, but most of the time was able to catch Iowa fielders off guard. “Knowing that Doocy is a great pitcher that doesn’t give up a lot of hits, we wanted to try and score in whatever way we could,” Head Coach Yvette Healy said. Kaitlyn Menz took the win in the circle for the Badgers, allowing three hits, three walks and five strikeouts. Friday’s game was only the seventh game of the season without a home run ball. 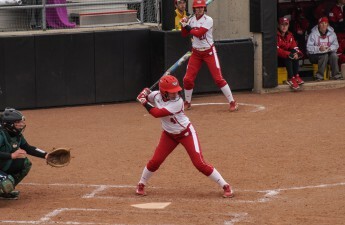 But Saturday’s game featured Wisconsin’s typical firepower on offense, including a Stephanie Lombardo home run and a Taylor Johnson grand slam. Offensive depth was important for the Badgers, as it seemed Iowa’s pitchers were trying to avoid Wisconsin’s Kayla Konwent. As she’s currently batting .505 on the season — ranked second nationally — with an on-base percentage of .600, it is no surprise why the Iowa coaching staff tried to avoid the Badger star. And avoid her they did, as Konwent drew three walks on the day. With Haley Hestekin picking up the win on just three hits with no walks and nine strikeouts, the Badgers run-ruled the Hawkeyes yet again Saturday with the score of 9–1. 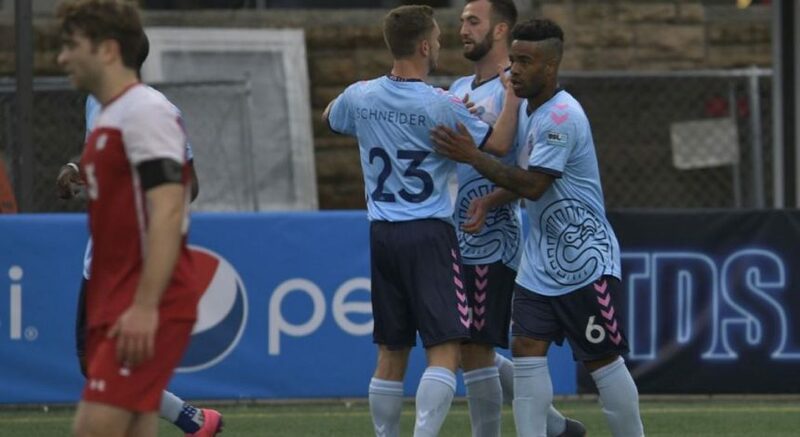 Sunday’s series finale was delayed two hours due to weather. The Badger offense was slightly under par, but their defense stepped up in its place. Healy’s decision to split pitching between Hestekin and Menz paid off, as Wisconsin only allowed two runs. But, Iowa was able to tally eight hits — the most they’ve had since March 10. Despite Iowa’s offensive jolt, Wisconsin’s fielders played a huge part in holding the Hawkeye offense to just two runs. Wisconsin’s errorless defense put on a show with stellar plays including a Jordan Little unassisted double play. Middle infielder Lauren Foster emphasized the essential role of the Badger defense and the importance of backing up their pitchers. At the end of the day, Wisconsin left victorious with their second Big Ten sweep of the season.